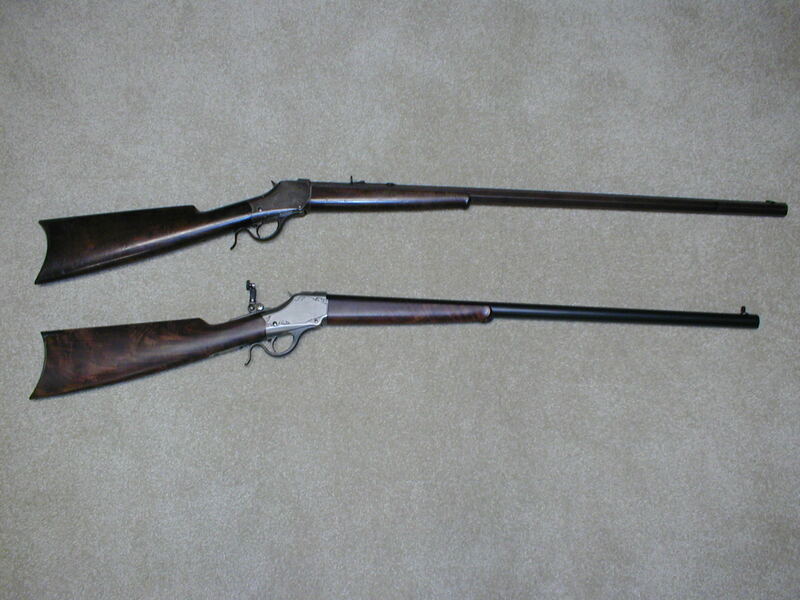 Top: J. M. Marlin Ballard No.5 1/2 "Montana" Rifle, .45-110 caliber, 14 lb, C.1880 Bottom: New Ballard No.8 "Union Hill", caliber .38-55, MVA sights, made 1998. NOTE: THESE ITEMS NOT FOR SALE ALSO NOTE I AM NO LONGER A DEALER OF BALLARD RIFLES. 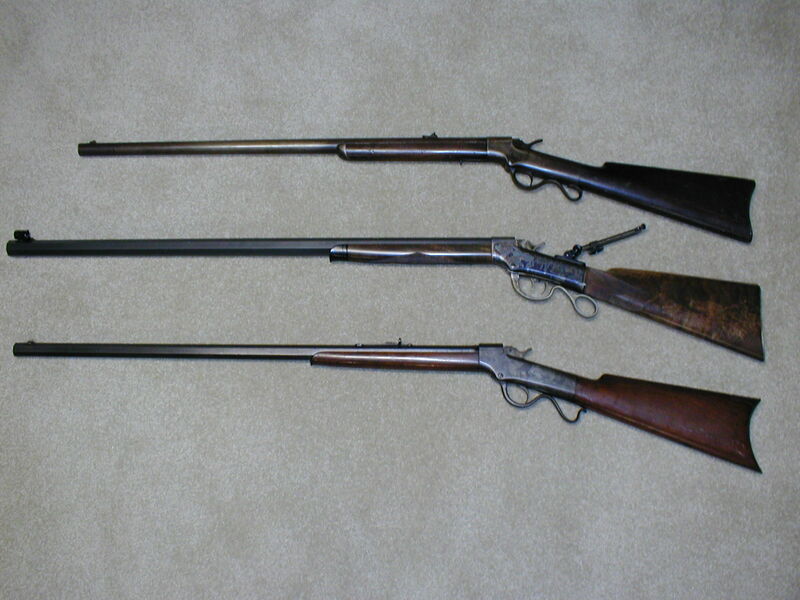 Top: Winchester 1885 Thickside Highwall, caliber .40-70 Ballard, 32" oct. barrel, set trigger, shipped 1886. 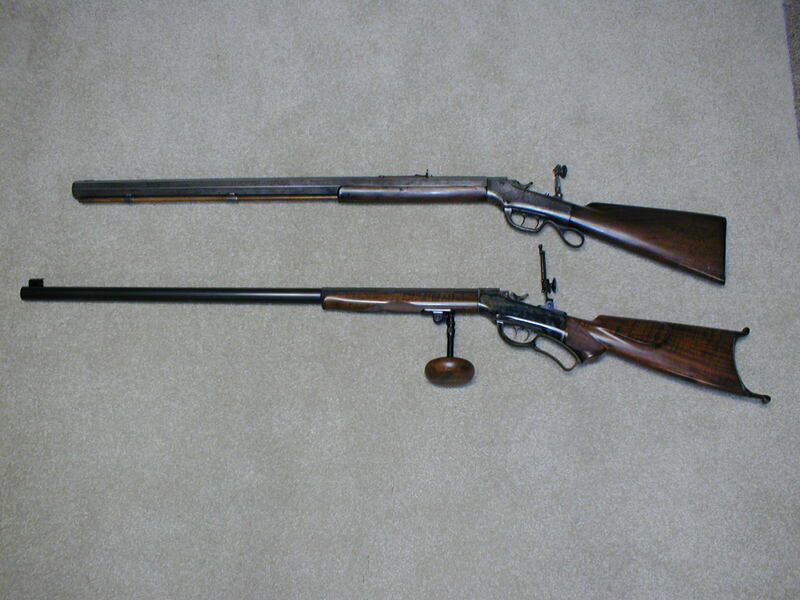 Bottom: New Ballard 1885 Thickside Highwall, caliber .30-40 Krag, 28" round barrel, set trigger, border engraved French gray receiver, made 2002 NOTE: THESE ITEMS NOT FOR SALE ALSO NOTE I AM NO LONGER A DEALER OF BALLARD RIFLES.